Peadar Ó Riada recently took the road north to Bellaghy, determined to pay tribute to Seamus Heaney. He sat at the piano in the Helicon room of the Heaney Home Place and he gave soul and airs to the poet’s memory. Sometimes he was elegant but on occasion, the notes were awry, loose. It was not about finesse, but he absolutely meant it. Peadar has achieved much with his music, his arrangements and his guidance of the Cór Chúil Aodha, a male choir from Muskerry, Co. Cork. They sing as Gaeilige in an intense, spiritual manner. 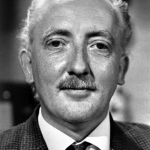 The choir was formed in 1964 by Seán Ó Riada, his dad, who brought a radical ear to Irish music in the late Fifties and across the next decade. Seán was only 40 when he died but the legacy was vast. Two weeks before he passed, he asked his son to look after the choir. The boy was 16. Peadar put marks on the keyboard and thus he could manage the chords. He was off. So while Peadar paid his dues to Heaney during his visit to Bellaghy, his own father’s presence was deep in the performance – in the soundtrack theme to Mise Éire and in the delirious vision of ‘Aisling Gheal’. There was also a chance to hear ‘Mo Ghile Mear’ (‘My Bright Darling), a tune with a huge emotional reach. Like many great songs it has a story. Peadar found it on one of his dad’s old field recordings. 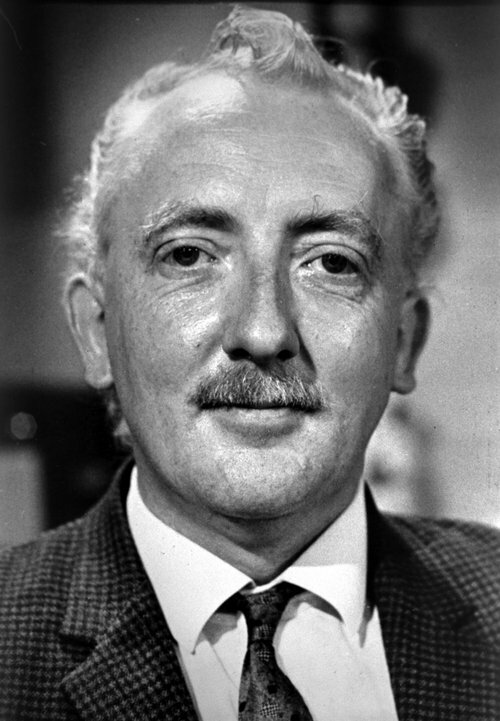 Seán had previously made his reputation in Dublin, but his move to the Irish-speaking Cúil Aodha in the early Sixties had fired up his native sensibilities – just as he would give the area a renewed sense of self in return. His low-fi tape featured the singing of an old man. The air wasn’t familiar, but the lyrics were drawn from an 18th century poem about the exile of ‘Bonnie’ Prince Charles Stewart and the dashed hopes of his supporters in Ireland. In this version of the tale, the defeat of the Scottish leader at Culloden had also left Éire wasted and heartbroken, a variation on the haunted, aisling tradition. 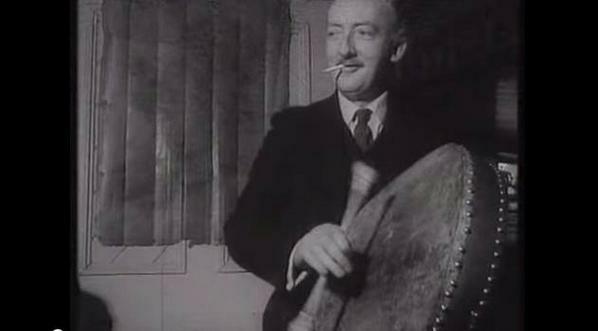 With the encouragement of Peadar, the song was renovated and some additional lines from the original poet Seán Clarach Mac Domhnaill were added. This work was carried out by a local poet and school master, Domhnall Ó Liatháin (there’s an account of the work here). As a result, the choir had a mighty signature tune to close their sets and ‘Mo Ghile Mear’ was later covered by Mary Black, Sting, Iarla Ó Lionáird and others. Something to fetch out for the important moments. the silver knob on a swordstick. Peadar’s live version of the poem lurched and rolled. Máire Ní Chéileachair the sean-nós singer put her voice into into the unearthly spin. It was astonishing, like a frothy sea shanty, a space chorus. Originally, the poem had been sent out to the era of Regan, Thatcher, brutal foreign policies in Latin America and entrenchment in Ireland. The 2017 version was performed in a global context of mean politics, divisive walls, clampdowns and lock-outs. Still it resonated. Martin McGuinness was buried on 23 March, 2017. The service at St Columba’s church in Derry featured speeches from various religious leaders. The sentiments of Seamus Heaney were invoked by Bill Clinton. “Walk on air against your better judgement” was a line from the The Gravel Walks, a note to self about magical thinking, that the marvelous was also permissible. The liturgical music for the funeral was in Irish, delivered in a unison style that reflected the ground-breaking work of Cór Chúil Aodha and Seán Ó Riada. At the very end, as the mourners prepared to take the coffin away, the choir stood up in the balcony and sang him out. The song was ‘Mo Ghile Mear’.